CHICAGO (WLS) -- The Chicago Cubs got a visit from two real-life bear cubs on Friday courtesy of manager Joe Maddon, ESPNChicago reports. 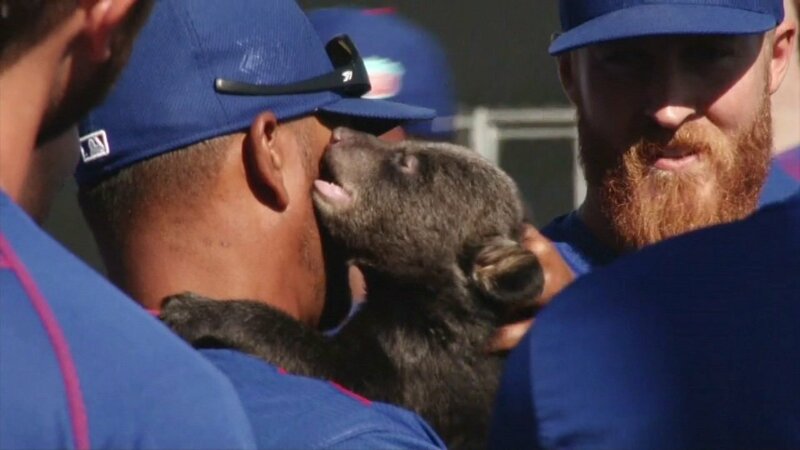 The adorable cubs, only three and a half months old according to the report, came to spring training through a tie-in with Treasure House in Arizona. Treasure House is a school assisting young adults with learning disabilities. The bears came from Bearizona Wildlife Park and walked on grass for the first time as players and coaches crowded around and waited for their turn to interact with them. Judging by the photos and videos shared on social media, the Cubs were clearly delighted by their guests.